WHAT DOES EXCLUSIVE (VIP/MD) HEALTH MANAGEMENT DO? First - Our Exclusive Physicians. We hand pick our Exclusive Physicians. Our Physicians must meet our specific background check, and pass all of our requirements to be accepted. Second – Our Clients (patients). Those individuals who seek our Exclusive Physicians talent and expertise. Individuals who care about their health and their well-being. These individuals are looking for “Quality Health Care Services”; whether they have an existing ailment or they just want to continue living a healthy lifestyle! Our Exclusive Physicians sign independent contracts with Exclusive (VIP/MD) Health Management for our services. Our Exclusive Physicians offer Personalized Medical Services and Concierge Medicine Services to our Clients (patients). We accept Clients from all demographics, and from a wide range of household incomes. The difference between Personalized Medicine and Concierge Medicine is; Concierge Medicine is known to be only for wealthy individuals. We accept Physicians from both; Personalized Medical Services and Concierge Medicine Services. WHY SHOULD I CHOOSE EXCLUSIVE (VIP/MD) HEALTH MANAGEMENT? Exclusive (VIP/MD) Health Management is here to make a difference to each and every one of our Clients (patients) lives. Not only do we work for you; we also work for each one of your patients. As Owner and CEO, I had experienced first-hand the traditional health insurance nightmare of being misdiagnosed and learning how my life was at the hands of physicians, who did not spend the appropriate time diagnosing me. Nor did they perform the appropriate tests needed, to accurately discover the ailment in which they misdiagnosed me with. I went through a 1-year long nightmare; which took away my quality of life for that year. After my experience, I decided to open this business, to help people get a higher quality of care. I have decided to dedicate my heart and my life to helping others; to make a difference to those seeking a higher quality of care. We are not the largest Personalized Medicine Consulting Firm; but, our goal is to be the BEST in our market and the BEST at what we do! Our success is solely based on the performance and success of our Exclusive Physicians. Our contracts do not make you sign your life away. We have the lowest non-compete clause on the market. Why? Because, we feel if we are not doing our job, you should have the option to move your practice! 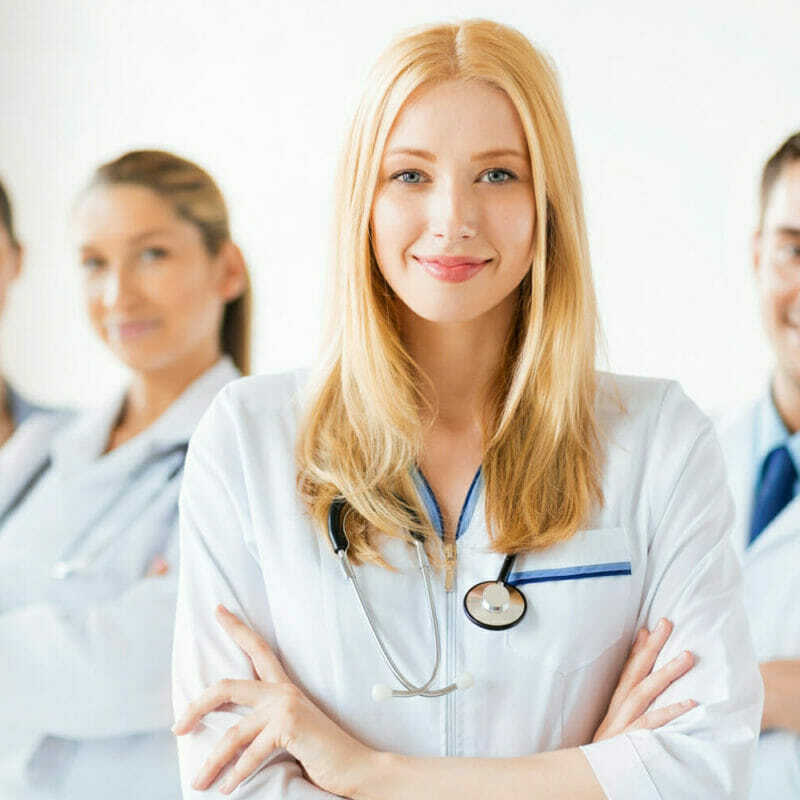 Exclusive (VIP/MD) Health Management offers experienced professionals that will provide you with: Administrative, Legal, Marketing, Operational, Technological, and Support Services for: you, your patients, and your staff. We offer training to your staff, during your transition. We offer a plethora of Services, please visit our physician services page on our website https:/exclusivevipmd.com/physicians/. We do not just offer the services mentioned above, we build relationships. We bring trust, honesty, and devotion to you and your patients, throughout your complete experience with Exclusive (VIP/MD) Health Management. We value and carry the bond your patients have with you, in each communication. You have devoted your life to your patients, and we will continue to devote our time and attention to each and every one of them. Their experience with us, is extremely important. Should you choose Exclusive (VIP/MD) Health Management to evaluate your practice, we will provide you with an in-depth assessment of your practice showing you whether your practice is appropriate for the conversion. Our evaluation will provide you with the exact information you will need to make a professional and decisive decision; as to whether you should transition your practice to Personalized Medicine, Concierge Medicine or not. Once we both agree to move forward and work together; Exclusive (VIP/MD) Health Management will provide you a Personalized Medicine Program that has been tailored to your practice, and your future goals. Should you convert your practice with us, we work with you through the transition, and after. We monitor your performance on a daily basis, to ensure both your success and ours! For You To Choose From! Enjoy the luxury to market your practice through Exclusive (VIP/MD) Health Management, without the Conversion Amenities. Purchase a Membership, without converting your practice with Exclusive (VIP/MD) Health Management. The physicians practice must already be converted to follow a personalized medicine model or a Concierge Medicine Model. The Physicians must also meet our specific background check and pass all of our requirements, to be accepted. Once you pass our guidelines, we will make your practice available to our Clients, immediately. You will then be part of our Exclusive partnership. Our Clients will then have the option to select your practice as their private “Exclusive Practice”. You will pay a yearly fee, to join as an Exclusive Membered Physician. It’s that simple. EXCLUSIVE (VIP/MD) HEALTH MANAGEMENT OFFERS TWO PLATFORMS UNDER PROGRAM #2. WHICH PLATFORM WORKS BEST FOR YOUR PRACTICE? In our "Personalized Medicine and in our Concierge Medicine Care" Platforms, the entire patient panel pays a membership fee in order to see their physician. The patient panel size is kept small so the physician can offer extra-time and Private Medical Services. ***Therefore, when a practice converts to a Full Conversion, the Exclusive Physician must dismiss a large portion of their patients; including those on Medicare, who either cannot or do not wish to pay the membership fee. This can prove ethically and personally challenging for specialists who would have to dismiss patients who in turn may find it difficult to find specialized care. THIS IS WHY WE OFFER THE HYDRID PLATFORM! *** We feel no one should be left behind! We offer an abundance of Services, please visit our Physician Services page on our website https:/exclusivevipmd.com/physicians/ . The "Hybrid" Platform allows a physician to maintain the patients that do not join the Full Conversion practice. These patients will continue to receive care at the practice. These patients will be seen by the physician, while the physician focuses the majority of the attention on the membership patients. Is Personalized Medicine or Concierge Medicine Care only for Primary Care? "Personalized Medicine or Concierge Medicine Care" is not just for Primary Care, this is a complete misinterpretation. Many medical specialties can offer a cash-based or subscription models to their patients. Nearly every medical specialty can make the conversation to Personalized Medicine or Concierge Medicine Care. Personalized Medicine or Concierge Medicine Care offers many specialties; predominantly for patients with continuing medical conditions or chronic illnesses. Should I convert my office on my own? What about the DIY: The Do-It-Yourself Approach? • Do I convert to a “Personalized Medicine or Concierge Medicine Care Platform” or do I convert my practice to a “Hybrid Platform”? • How does my office staff fit into the various platforms? • Do I become an “All Cash Practice”? Do I continue to accept insurances and Medicare? • How do I choose the size of my patient panel? • What happens to the patients who do not join, if I do a full conversion? • How do I decide what my patient membership price should be? • What do I include in the “Scope of Service”? Keep in mind, you will be building the business from the foundation up! The first thing that needs to be done is continue to wait on your patients and begin to assemble the necessary: Administrative, Insurance, Legal, Marketing, Sales, Billing and Accounting, and all other resources needed to convert your own practice. To be effective, the Personalized or Concierge Medicine Physician must first serve as their contractor for each one of these resources. You may even need to become your own architect and general contractor; while converting your practice, yourself. The main concern here is that you do not want your patient visits to fall through the cracks; which, could ultimately affect your patients “Quality of Care” during the transition. The Do-It-Yourself approach is extremely labor-intensive, and throughout the process the physician must continue to care for patients and conduct business as usual; while planning and executing the transformation. Now, the work begins. You must begin the planning and execution of an intense sales and marketing campaign, that largely determines the destiny of your practice. While making sure you are legally compliant in all of the above mentioned, and within your state! It is important to avoid mistakes, at all costs! This will definitely put you behind and cost you more money, in the course of converting your practice. During the conversion or after, you will have a much better understanding and appreciation for conversion firms like Exclusive (VIP/MD) Health Management. Many Personalized or Concierge Medicine Physicians discover once the practice has finally completed its transition from the Do-It-Yourself process; the physician now agrees that the value of an experienced consultants work like (Exclusive (VIP/MD) Health Management) in facilitating the transition, is well worth the cost. If you decide to transition your practice on your own, please know we are there should you get yourself into a difficult situation. There are many tasks and deadlines to handle all at the same time; while you are seeing patients. Should you choose the DIY route and feel that you are in over your head; please call us immediately, and we will be there to assist you. *Remember, you only get one shot at this, if you do not complete the transition or if you find yourself in a predicament; you may cost yourself more money and more time. Is the transition a huge undertaking? Transitioning to Personalized or Concierge Medicine must be done strategically and with a plan. Yes, it will be overwhelming and exhausting. Exclusive (VIP/MD) Health Management converts your practice, one step at a time. We use a very methodical method, to convert your practice; from the beginning to the end. Once converted, the results are significant to your: health; family; financial well-being! By transitioning your practice to Personalized or Concierge Medicine, allows the physician to spend more time with their patients. Meaning the physicians patients, a much thorough “Quality of Care”. Exclusive (VIP/MD) Health Management removes the: Administrative, Operational, Marketing, Legal, Technology and Customer-Support Service responsibilities from your practice; allowing the physician much more quality-time for themselves, and for their patients. What services does Exclusive (VIP/MD) Health Management provide? Exclusive (VIP/MD) Health Management provides a comprehensive range of services that support the physicians practice through the transition, and after the transition. These services include: Comprehensive Regulatory Guidance; Administrative; Operational; Marketing; Legal; Technology; Customer-Support Service Responsibilities, along with Staff Training; Annual Fee Billing; Patient Communication Materials; Practice Evaluation and Assessment Analysis; and ongoing Practice Growth Support. Plus, much much more! What is my financial responsibility? Am I required to make some financial investment? No. Partnering with Exclusive (VIP/MD) Health Management means that we not only walk you through your transition step-by-step; but we also handle the entire process associated with your transition, including the costs of: upfront marketing analysis; practice evaluation; an in-office transition manager; marketing collateral; call and letter campaigns; meetings; and much more. We make this conversion as easy for you as possible. We actively communicate throughout the process, we customize your transition to best fit your Exclusive Practice needs. How do I explain to my patients, about the transition? Exclusive (VIP/MD) Health Management will contact each one of your patients. Depending on which Platform you choose; our Full Transition Medicine Platform or our Hybrid Platform. Either way, we will work with your patients to help them understand the new process and the updated changes. It is a Process! A medical practice cannot just announce the change to their patients and expect their existing patients to automatically join. You will always have patients that will be unhappy with the change, and those that will not join as a member. You will also be surprised at the number of patients that will accept the transition, and who will be excited to learn more about your new business. We will complete a series of mailings, call campaigns, and multiple patient meetings, we will reach out to all of your patients. Exclusive (VIP/MD) Health Management values the relationships you have built with each one of your patients, and we will handle each one of them with our tailored white glove approach. You will have “A Peace of Mind”, knowing that we have contacted all of your patients, and communicated with them appropriately. Exclusive (VIP/MD) Health Management takes each step systematically, so the transition will be smooth, effective, and efficient. Exclusive (VIP/MD) Health Management knows that your staff is a critical factor to the success of your practice. We will train your entire staff and explain the transition process to your staff. We keep them informed and up-to-date throughout the process; as well as, thorough the Customer-Service training. Your staff will be ready, when your transition is completed. Will I have to invest in my office staff through the transition? We will train your office staff and bring them up to speed during the transition. Once your Exclusive Practice is up and ready to go, so will be your staff. What type of training or changes do I need to make with my staff when I transition to an Exclusive Practice? The most important change you will need to make with your staff is, improving your Customer-Service. By transitioning your practice, you promise those patients that join as a member extra-services such as: 24-hour/7-day availability, shorter waiting times, house-calls, hospital same-day appointments, and closer physician communication and accessibility. Your staff will need to support these services. A Personalized or Concierge Medicine patient demands a higher-level of Customer-Service from your staff. Comprehensive training to your staff is vital. How long does the entire process take to transition my practice? Each transition is different. It depends on many factors, a few of these factors are: the processes you currently have in place; how organized your practice currently is; and the size of your practice. Every one of our physician conversions are important and unique. Exclusive (VIP/MD) Health Management works within most physician’s timing. We will not commit to an unrealistic timing. Your success is just as important, as ours! We will assess your practice and provide you with a detailed timeline. Typically, the transition can take anywhere from 3-20 weeks. Each practice varies regarding timing of completion. Remember, we want you up and running smoothly, and as soon as possible. We understand time is money! How do I stop working with the different traditional health insurance carriers, and all of their rules and regulations? Converting your practice to Personalized or Concierge Medicine is exactly what you are looking for. By joining our business as an Exclusive Physician, you will be switching your practice to a Personalized or Concierge Medicine model. Meaning, personalized medical practices avoid the headache of billing and collecting from the health insurance companies. Which is a time-consuming process, and a costly task that every medical practice must painstakingly accept; if you stay in the traditional healthcare arena. If you select the Hybrid Model, you will still be working with traditional health insurance carriers. Do I need to attract wealthy patients only, in order to make a respectable salary? Example: If a physician today has 800 active patients. Each patient pays a nominal yearly fee of $1,800 for access to this physician. This would result in $1,440,000 in revenue per year. Let’s just look at this conservatively; assume 50% in overhead (but remember, you are eliminating a large portion of your overhead by not billing and collecting from insurance, and we manage your marketing). A primary care physician would have a $720,000 salary, this is over 4-times the physicians average salary of a family practice in 2018. These calculations show that even a moderately priced Personalized or Concierge Medicine practice will provide a very healthy physician salary – with fewer patients. What is Exclusive (VIP/MD) Health Managements payment structure? Exclusive (VIP/MD) Health Management compensation is based on a percentage of the annual patient enrollment fees collected, with a sliding-scale adjustment each year. Therefore, we are extremely dedicated in the long-term success of our Exclusive Physicians and each one of their patients. Will my medical office expenses increase or decrease? This is one of the main attractions as to why more and more physicians are transitioning to the Personalized or Concierge Medicine model. The amount of time and overhead expense spent on billing and collecting from insurance companies alone, is a huge undertaking. One of the biggest attractions of the Personalized or Concierge Medicine model is that our Exclusive Physicians do not need to bill and collect from insurance payers. The full conversion Personalized or Concierge Medicine Model requires very little time or money on patient collections. Physicians average 15–20% of their total revenue on billing and collecting, depending on the size of the practice. This figure includes: using a medical billing company or billing in-house and paying your staff to complete this task, etc. Many times, a Personalized or Concierge Medicine patient will end up paying less out of pocket expenses, than they would using traditional health insurance. Especially if your patients are on a high-deductible insurance plan. By removing your overhead office expenses, and the task of working with the insurance payers; this alone will decrease your office expenses. 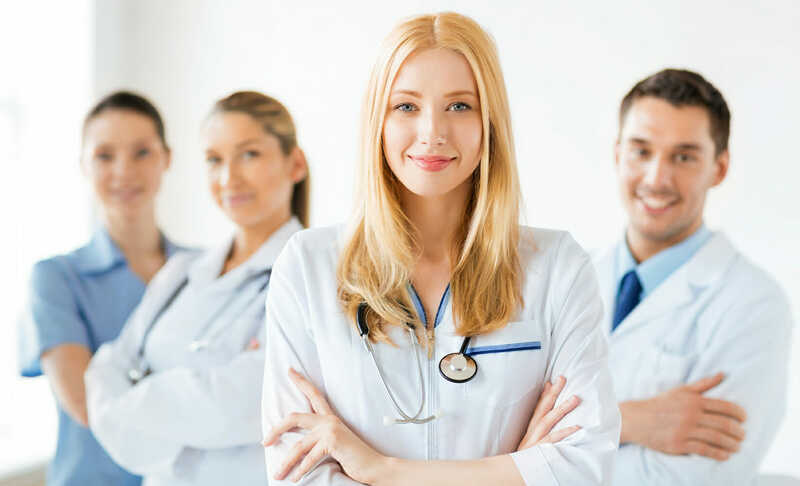 With Exclusive (VIP/MD) Health Management managing your Exclusive practices’ overhead responsibilities, this will allow the Exclusive Physician to experience a higher quality of life at work, and a much more relaxed quality of life at home. The Exclusive Physician will also experience a higher income, while providing an even more thorough “Quality of Care” to your patients, during each one of their visits. Can I convert my Medicare members to Personalized or Concierge Medicine? Yes, this can be done. This is a question that must be taken very seriously and given time to think about, before making any changes. This is an area, that must be discussed! Medicare allows physicians to privately contract with patients to provide service, but the physician needs to “opt-out” of Medicare completely. The physicians may not return or rejoin Medicare for a period of two-years. The Exclusive Physician cannot bill Medicare for this 2-year period, for any Medicare beneficiary. Once this decision has been made, you have to fulfill the 2-year penalty clause. Medicare patients should be approached with the understanding that Medicare pays relatively well; compared to commercial healthcare plans. Of course, there are exceptions and that this certainly is not always the case. Exclusive (VIP/MD) Health Management works with each one of your patients, so they understand their options, and that they make the right choice for themselves and for their medical situation. Does Exclusive (VIP/MD) Health Management manage my patient billing? Yes, we will manage all of your patient billing and collections. How does this impact the billing insurance process? Depending on which platform you choose; as a Personalized or Concierge Medicine physician, you may accept Medicare insurance. The switch to Personalized or Concierge Medicine can be challenging – but can result in a higher: income; care for your patients (many times at a lower cost); and the opportunity to practice medicine without the headaches of traditional insurance. How does Exclusive (VIP/MD) Health Management choose how many patients I need for my patient quota? Each practice is different and requires their own Complete Personalized Analysis. Each physician’s definition of success, is different. Our analysis of the practice may also include: the commitment that has been made to patients; needs of your patient; as well as, your financial goals. Once we sit down with the physician and understand your future goals for your personal life and your practice. We will then compile all of the data and determine the appropriate number of patients you will need for a successful practice. How will being “On-Call” affect my private life? This depends if you are physician with your own solo practice, or whether you work in a large practice with many physicians. The days or evenings may generate a handful of calls; yes, you will need to be prepared for them. Vacations will be planned ahead, of course. Notification will be sent in ample time to your patients, making them aware of planned vacations. In a Personalized or a Concierge Medicine model or even in a Hybrid model, the number of patients is far less than in a traditional practice. When you do the math in a traditional healthcare model, you will realize that there could be a handful of calls over thousands of patients. In a Personalized or Concierge Medicine model, most of your patients think of the cell phone as a lifeline, and not as a medical operator! You will not have hundreds of people calling you. Patients who join a Personalized or a Concierge Medicine membership, tend to understand your how important your time is, and provide a higher level of respect for you and your time. First, vacations will be planned in advance. This will allow your schedule to be flexible with your patients. You will be able to enjoy more freedom than you think. By scheduling appointments accordingly and having a dedicated staff, you will find that you can take a vacation with minimum interruption. By having a colleague on call; as well as, your mid-level and dedicated staff to handle what may occur, both you and your patients’ will have a “Peace of Mind”. I am a Specialist, does Personalized or Concierge Medicine also work in Specialty Medicine? Almost every Specialty can adapt to the Personalized or Concierge Medicine models. Many Specialties can offer a cash-based or subscription model to patients. Direct care models are possible with many specialties; particularly for patients with chronic conditions. Examples include: OB/GYN for pregnant patients, and Oncology for Cancer patients, etc. I am just out of residency and want to start a Personalized or Concierge Medicine practice. How do I do it? Most physicians who transition to a Personalized or Concierge Medicine model, have been working in their field for at least a few years. Unless, you are independently wealthy right out of your residency, you may want to consider this approach; as it may take years to become self-sustaining. You may be able to consider a Hybrid Model early on in your career. Normally it takes a few years (I will use the term -"Being In The Trenches") to position yourself for such a move. Unless you are buying into an existing practice and taking over the program! Does Exclusive (VIP/MD) Health Management manage my internal office? No, we do not manage your internal office on a daily basis. We transition your practice to one of our Exclusive practices, guide and consult you and your staff. We build your office procedures and create your office practices. We train your staff with the new changes and teach them what to expect working in a Personalized or Concierge Medicine or a Hybrid Model. We train your staff on how to handle your patients under a Personalized Medicine practice, and through the conversion. We will always be there for your: office staff, patients, and for you. Our long-term relationship will include future training; as well as, marketing efforts to help attract new patients to your Personalized or Concierge Medicine Model or Hybrid model, once you have opened. What Happens When The Exclusive Physician Meets Their Maximum Required Patient Quota? When a practice reaches their maximum required quota, the practice is then closed to new patients. A waiting list will be established, and your name will be added in the order of their inquiry. How Does Exclusive (VIP/MD) Health Management Select Specialists And Exclusive Personalized Medicine Physicians? • All Education Levels Double Checked and Verified. • Experience Double Checked and Verified. • Verify all Schooling, Degrees, Awards and Certifications, etc. • Medical License Denial or Revoked. Each one of our Exclusive Physicians have been interviewed, assessed and passed our Comprehensive Screening Process. PLEASE REVIEW THE CLIENT (PATIENT) FREQUENTLY ASKED QUESTONS, TO BETTER UNDERSTAND YOUR PATIENTS PERSPECTIVE.